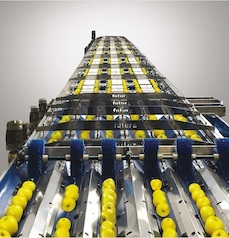 Futura, a company that specializes in the design and production of fruit and vegetable selection and packaging plants, offers solutions to all markets that wish to export their products. Our company's technologies and experience, give our customers the conditions to undertake a new journey to give greater added value to their production. In fact, our mission is to provide our customers with solutions that make them part of the GDO suppliers around the world. This year Futura has confirmed its strong exporting vocation. We mainly aim at developing markets, in fact, 85-90% of our turnover comes from foreign countries, 70% of which are outside the European Community. 2018 was a year of great success thanks to the constant push and relative penetration of our commercial sector, which is always looking for new markets and local partners to match. So far we have stable organizations (not only in the marketing sector, but also for technical service) in countries such as India, Egypt, Israel, Russia, Morocco, and the United Arab Emirates. We are paying close attention to the CIS countries, such as Uzbekistan, Kazakhstan, and Tajikistan. Proof of this are the fairs where we have participated as exhibitors: AgroExpo in Uzbekistan in May, AgroWorld, in Kazakhstan, at the end of October, and YugAgro in November, in Russia, Krasnodar. In addition, we must highlight the opening of our South African branch, FUTURA SA, in 2018. South Africa has been a very active country in the production, calibration, and packaging of most of the fruits produced in Africa's south-central region. The first deliveries in this country will take place in early 2019. In Europe, we have a large volume of business coming from the Iberian Peninsula. In fact, about 20-25% of this year's turnover is derived from this area. In 2018, we supplied 3 large plants in Spain, one in Catalonia for apples and peaches, one in the region of Murcia for apricots, and one for peppers in Almeria. The Italian market, mainly the center-south, was also very active this year, even though the percentage does not exceed 15%, for stone fruits and clementines. Our total turnover in 2018 will increase by two digits when compared to 2017, with around +25%. We have already closed several orders for 2019 that will help us consolidate in the markets in which we are already present. Our goal this year is to cover new areas, such as Armenia, Georgia, Pakistan, Turkey, Azerbaijan and more distant countries, such as Vietnam and Cambodia, where we will plan to take FUTURA products as soon as the second half of 2019. That's why we expect the company's turnover in 2019 will grow by at least 15-20% over 2018. This important growth was also possible thanks to the innovation and expansion of our technologies, which are highly appreciated by the market. Our philosophy is to produce and deliver easy to use lines of the highest quality, that are constantly monitored by our technical staff remotely, through the Internet. 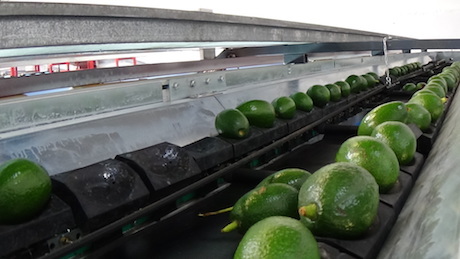 In addition to the specific technologies to select standard products, such as kiwis, citrus fruits, apples and peaches, we plan to work with and focus on other tropical fruits, such as mango, avocado, dragon fruit, and dates in 2019. One of the technological novelties of 2019, will be a system that detects most fruits and vegetable's quality and external defects, which will allow our customers to reduce labor considerably. We introduced this technology into the market some years after our competitors because we wanted to offer an effective system that was easy to use and configure. We'll meet with our collaborators from all over the world in Berlin's Fruit Logistica 2019 to share with all our commercial and technical strategies, but above all, to listen to their needs. 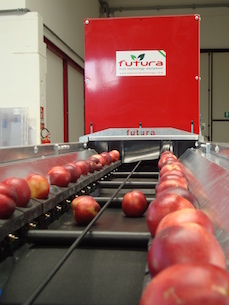 You can find FUTURA at Fruit Logistica 19, in Hall 3.1, stand A02, from February 6 to 8, 2019.